The latest episode on KCRW’s excellent series of podcasts on the housing crisis in our region and gentrification. In this episode, we meet folks who chucked L.A. for less expensive environs — and no one seems to be missing the traffic. All episodes posted thus far are here. 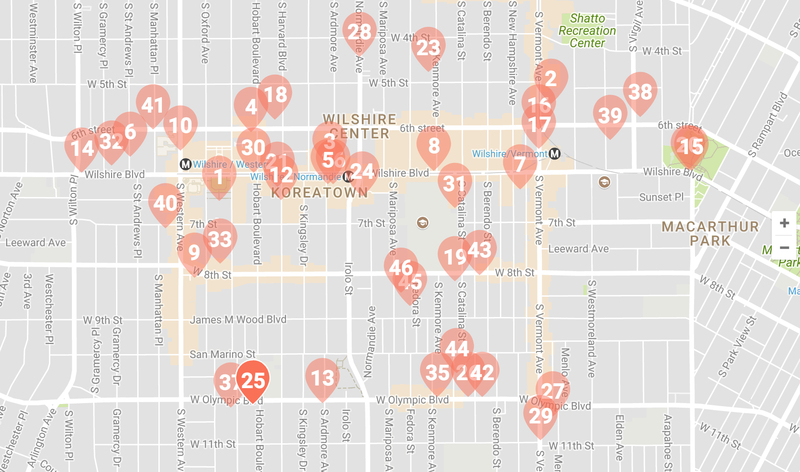 Curbed LA’s map shows where the development is concentrated in K-Town. Credit: Curbed LA. Forty six proposed projects! How many actually get built…that remains to be seen. But many of the projects are high-rises, many are on Wilshire Boulevard (atop the Red/Purple Line subway) and many are slated to be built on land occupied by parking lots, strip malls or other much smaller structures. Image courtesy of Newman Garrison + Partners via Urbanize LA. Check out link above for more renderings at Urbanize. Proposed: “1.1 million square feet of new construction, comprising 920 apartments, 17 live/work lofts and 21,000 square feet of ground-floor retail space” on a small slice of land wedged between North Broadway and the park. The development is split between south and north parcels — the south one would be closer the Gold Line’s Chinatown Station whereas the north one would probably be best served by the buses that run on Broadway. Of course, both are nice walks or bike rides to transit or other DTLA locations. This is just one of many, many projects slated for DTLA and I can’t possibly keep up with everything proposed. Curbed and Urbanize both do a good job staying on top of things. Photo by The Shared Experience via Flickr creative commons. 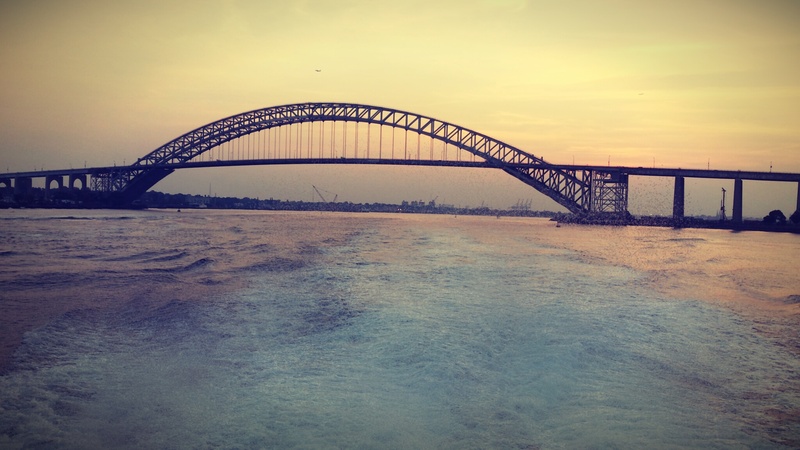 Good story about raising the roadway on the Bayonne Bridge to accommodate the next gen of larger cargo ships that need to access the ports in Jersey and Gotham/Metropolis. Metro has found mammoth parts while excavating the Purple Line Extension project. We don’t know how they croaked thousands of years ago but the study probably won’t surprise anyone, male or female. Koreatown is ripe for it. I can actually see Downtown and Koreatown connecting via skyline at some point. I do wish K-Town would go above 40 stories however. Related but unrelated: Is there anything in the cards that is going to compete with the Wilshire Grand’s height? I know our current President (eeek) had actually wanted to build a tower in Koreatown before the Riots. I believe it would have been the tallest one the west coast had it been built. It would be nice for K-Town to get a super tower though. L.A. Historic Park was re-opened with a walkway that was intended to connect to Broadway whenever funds became available to build the bridge. I don’t see anything in the rendering that anticipates it being completed. But hopefully it will be open to the general public and not made into a private entrance. The walkway will be important to connect the various projects going around the park. Otherwise the Gold Line tracks will just be a long wall to pedestrians.